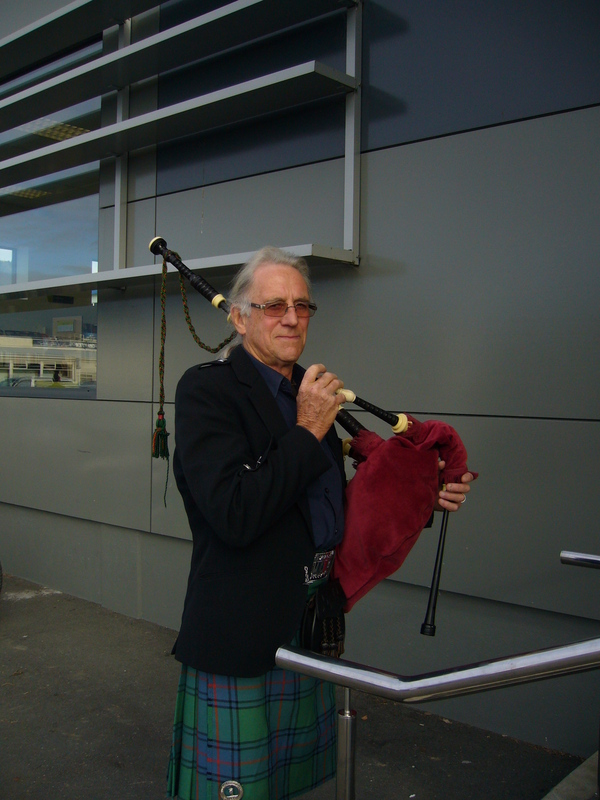 Friday 6th June was a special day at the Tasman District Library. 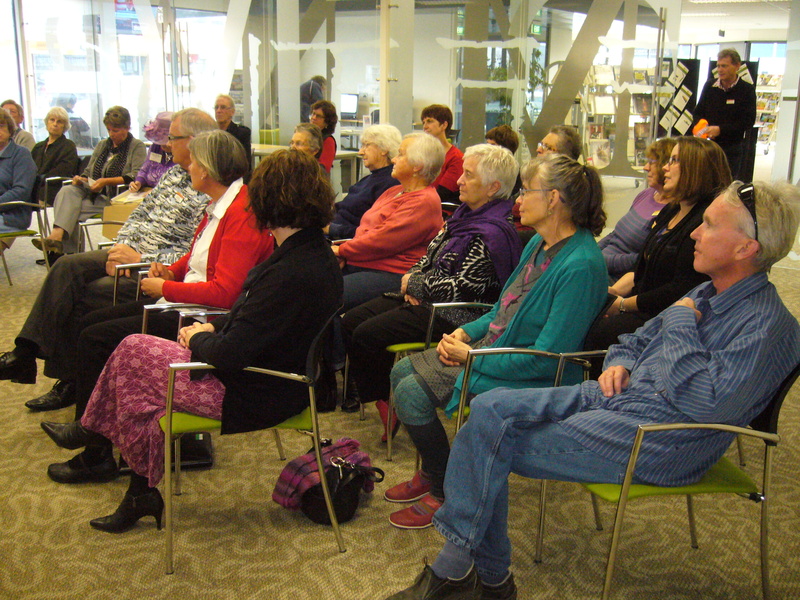 The audience at the unveiling of the Harkness Information board at the Tasman District Library, Richmond. 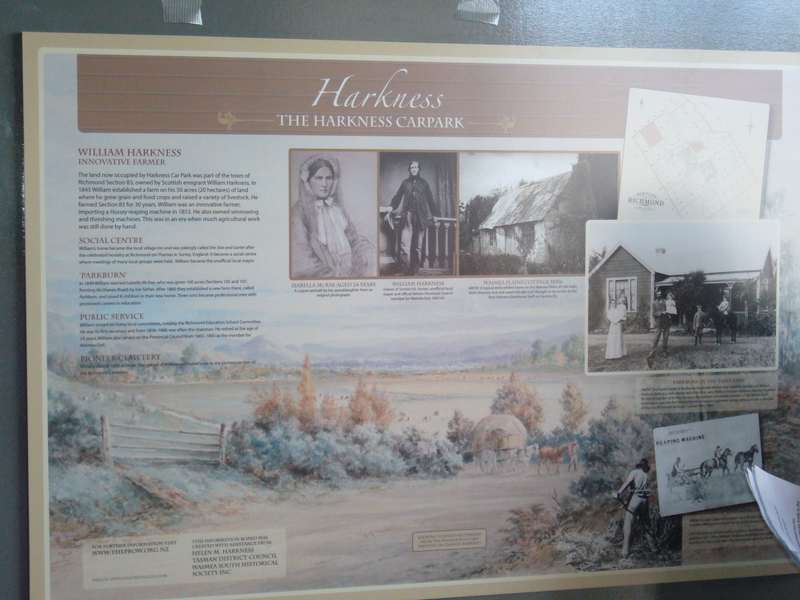 Helen Harkness, the great-granddaughter of William and Isabella Harkness unveiled an information board about her ancestors which has been placed in the entranceway leading from the Harkness car park. 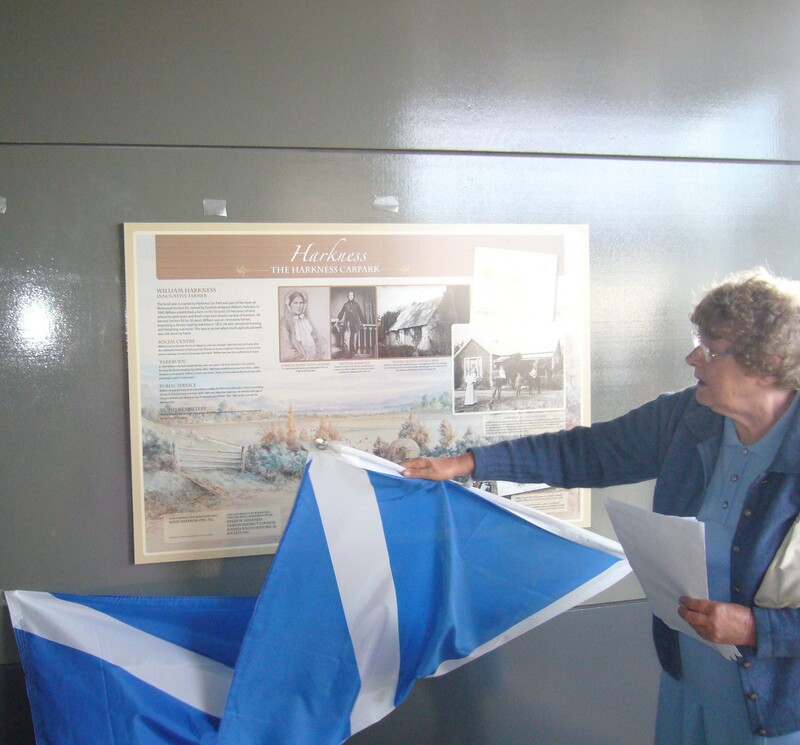 Helen Harkness does the honours for her great grandfather William and his wife Isabella McRae. The board, designed by a well-known Nelson graphic artist, Janet Bathgate, has been made possible through funds provided by the Tasman District Council, Waimea South Historical Society and Helen Harkness. William Harkness was a leading figure in the early settlement of Richmond. The house he built on 50 acres which he purchased, running from Queen Street to the east became the meeting place of all the early local committees and the bush licence he obtained turned it into a pub which was jokingly called the Star and Garter after a much grander establishment in Richmond-on-Thames near London. In recognition of William’s Scottish origins, Helen was piped from the meeting room in the library by Peter Bryan to the board in the foyer where she delivered a speech of thanks before unveiling the board which had been draped with the Scottish flag. Afternoon tea was later served and then the President of Waimea South Historical proposed a toast to William’s memory. Invited guests present included the Presidents of Motueka and Nelson historical societies, council staff who had been involved in the planning process and the library manager, Glennis Coote, as well as members of the local history groups. It was a most successful and rewarding occasion and served to raise awareness of the value of local history organisations.